Phuket FantaSea is located on Kamala Beach, next to Patong and Surin Beach and easily accessible from all major hotels. 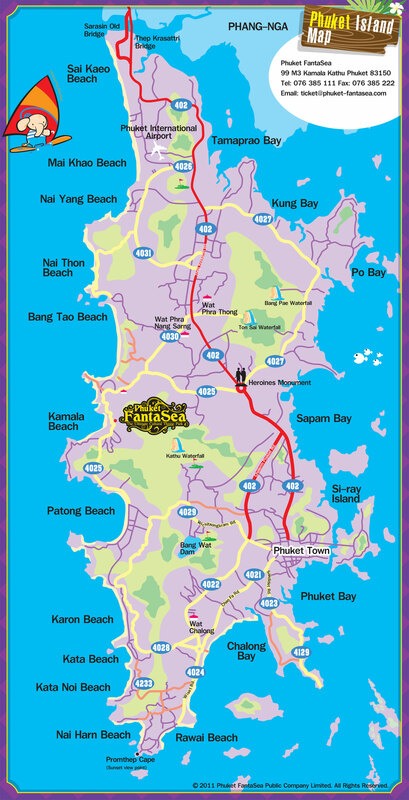 By car, please head towards Patong or Surin Beach and drive northward or southward respectively to Kamala Beach. Please download the map of Phuket by clicking here.